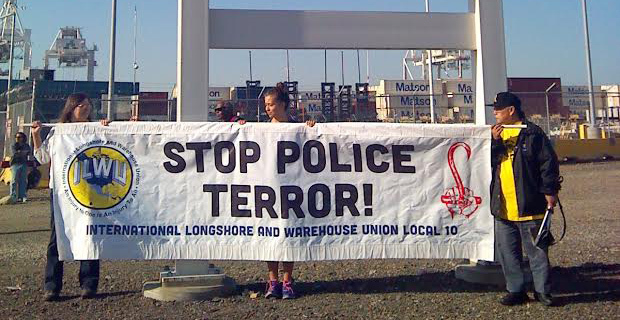 Securing a place in U.S. history as the very first union to lead a work stoppage against police brutality, the International Longshore and Warehouse Union Local 10 chapter in Oakland shut down all port activity in solidarity with the worldwide protests of International Workers Day. 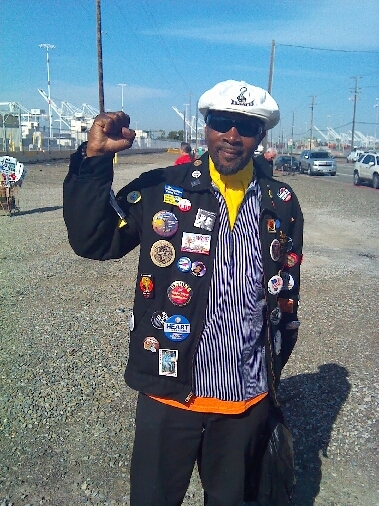 The ILWU has traditionally acted as a progressive force in the Bay Area, and on May 1, they came out in force. 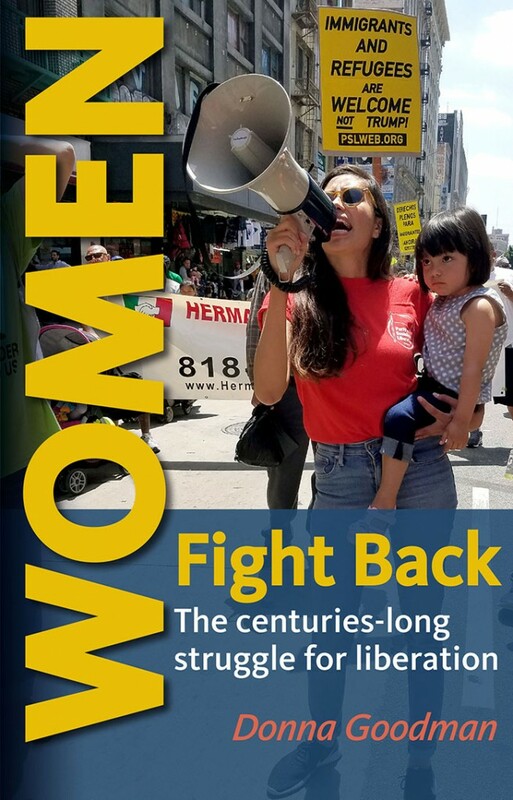 “When the workers shut down, America shuts down…We in the ILWU know that when there is a strike, the police come out to protect and serve the bosses and the owners. On July 5th, 1934 in San Francisco on what we call ‘Bloody Thursday,’ two strikers were killed by the police, so we know firsthand whose interests the police serve. That is why we’re mobilizing today. This is a working class-conscious, rank-and-file led action today,” said a union representative. 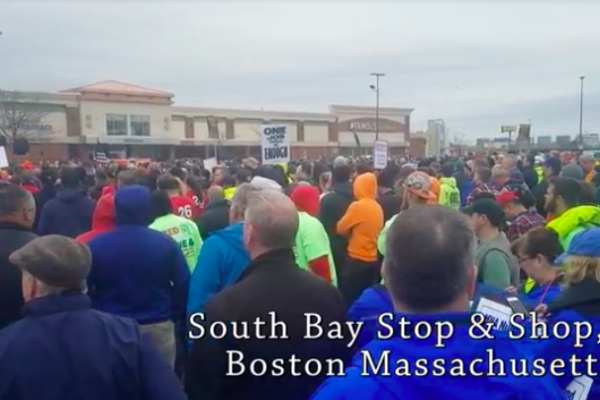 As union members, community groups, and workers of all nationalities poured into the port on Friday morning, Anthony Leviege of ILWU Local 10 spoke to Liberation News on the intended outcome of the demonstration that day. “I think it’s important that labor is finally getting involved in this movement. This is a small gesture of what needs to be done to stop police terror, economic terror…these things that affect all working people. We need to shut down capital and demand change…not change of the police structure, but change of the economy, which will then change the police structure,” stated Leviege. 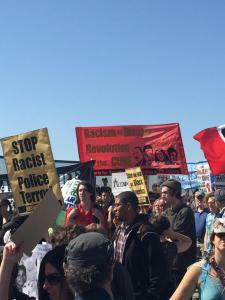 Upon reaching City Hall, a rally was held in the square renamed by the people of Oakland as “Oscar Grant Plaza,” in commemoration of the unarmed Black teen murdered by BART police at Fruitvale Station on January 1, 2009. The people’s success in jailing the officer who murdered Oscar Grant, an unprecedented victory in California’s history, was appropriately tied to the news coming out of Baltimore on Friday that the six officers involved in the death of Freddie Gray would face charges ranging from manslaughter to murder. Cat Brooks, one of the MCs of Friday’s event and leader with the Onyx Organizing Committee, revealed some hard truths in light of the news from Baltimore. “I have no faith that the system is going to hold those pigs accountable, but it still is a concession by the state as a result of people power. Now is not the time to be pacified, because we’ve got a long way to go. Now is the time to organize the masses with this victory…we’re going to continue to resist here in Oakland,” said Brooks. our voices not being heard, we continually have to talk about injustice that Black and Brown men are facing in our society. When Oscar was killed in 2009, it set a tone for all those uprisings. 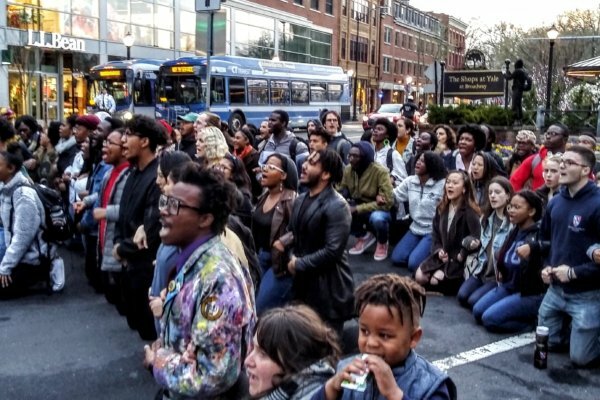 So, as we continue to watch these uprisings, we see that people are becoming more educated and understanding that what has occurred is unjust and action needs to take place in order for it to change,” reflected Johnson. Backing up her sentiments was “Uncle Bobby,” Oscar Grant’s uncle and now well-known community activist, who described what the path to change must look like. “We’re going to have to get a correct analysis of what’s going on. If we go back in time and understand capitalism and its connection to racism, we’ll understand that this system is acting and working according to how it was designed. 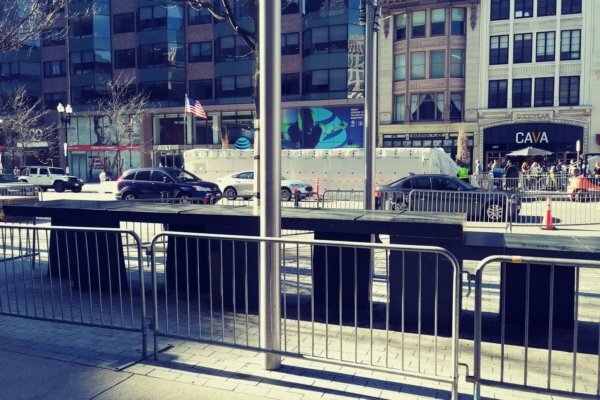 Once all of us have that correct analysis, then and only then will we know what we must do,” he stated to the crowd that had gathered to watch on the steps of the plaza. Case after case of police terror victims in the Bay Area was presented at the rally, revealing the epidemic of state-sanctioned violence, which has devastated poor and working class communities at a rate unseen in other major capitalist countries. Richard “Pedie” Perez, a relative of an ILWU worker who was murdered by Richmond PD as he was unarmed and posing no threat to anyone. Yvette Henderson, a 38-year-old mother murdered by militarized Emeryville Police using an assault weapon among other firearms. Raheim Brown, a 20-year-old unarmed Black man murdered in his car by the Oakland Unified School District Police. Alan Blueford, another unarmed Black youth killed by Oakland PD as he waited for a ride. Across the Bay in San Francisco, the struggle for immigrant rights, the other major aspect of May Day, was celebrated by about 800 people, who came together for a festival at the Civic Center and then marched to the heart of the Mission District, at 24th and Mission Streets. 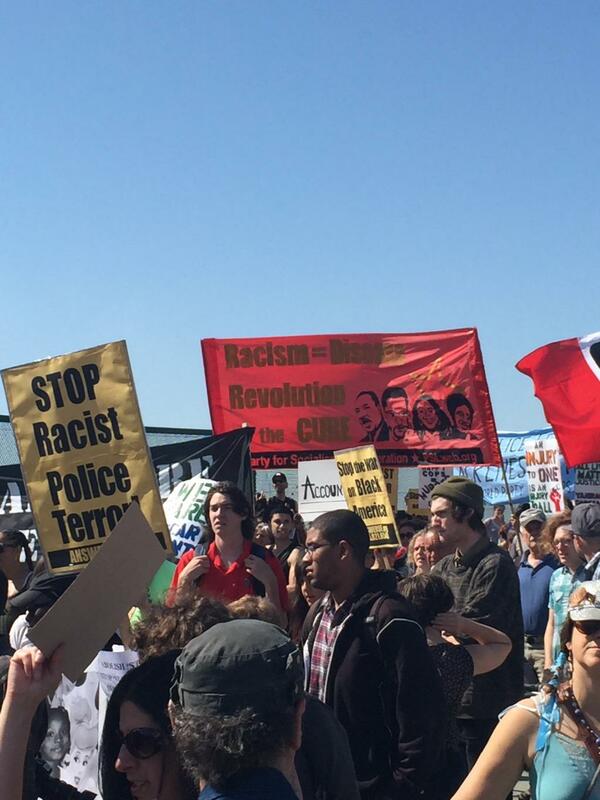 The thousands of people in Oakland and San Francisco who demonstrated their rage and opposition to racist police terror and the mistreatment of the poor and working class reflect a growing movement towards revolution. With every life taken by killer cops, with every worker denied a living wage and the integrity to create a life for themselves, the capitalist system paves the way for its own destruction. This revolution of workers and the oppressed will not be stopped.